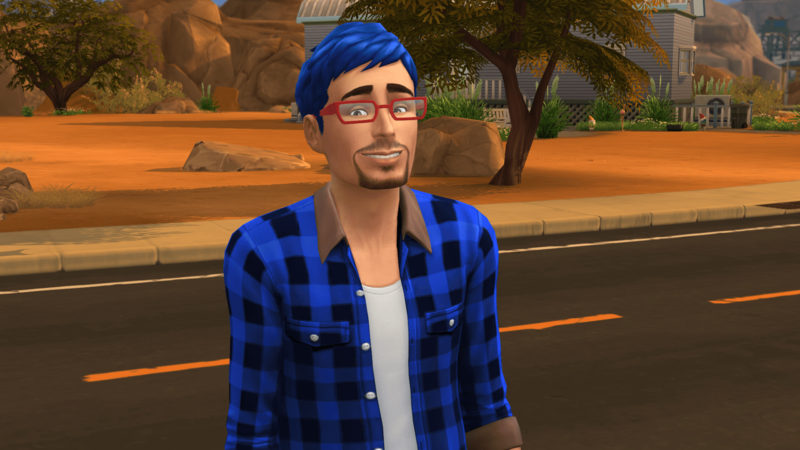 So Seera begins her generation by targeting her future spouse, Edgard Montarsse. Seera makes quick progress bringing both bars up to just a sliver from full. 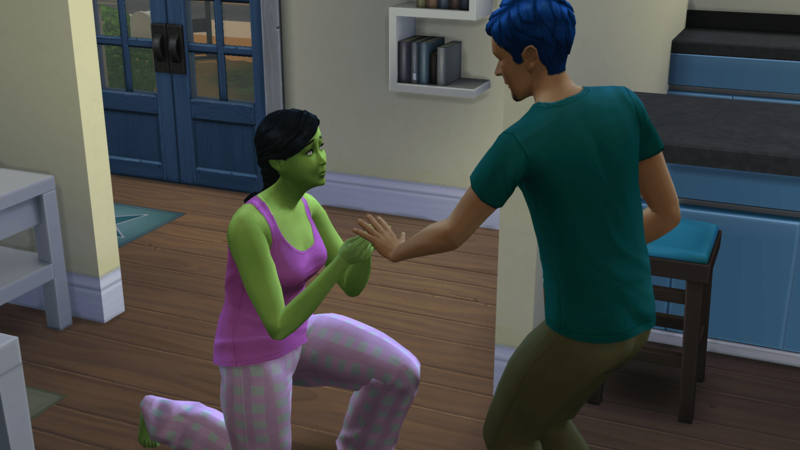 Hoping for an acceptance on the first try, Seera gets down on one knee. And once again, the proposal is rejected. 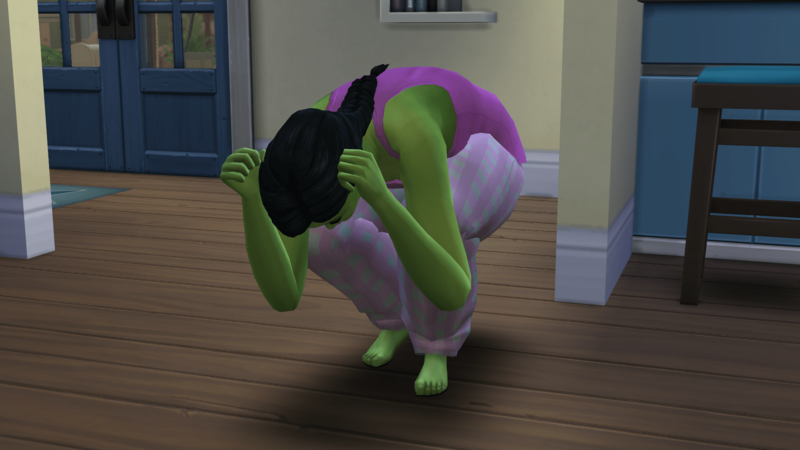 Seera is embarrassed and mortified. 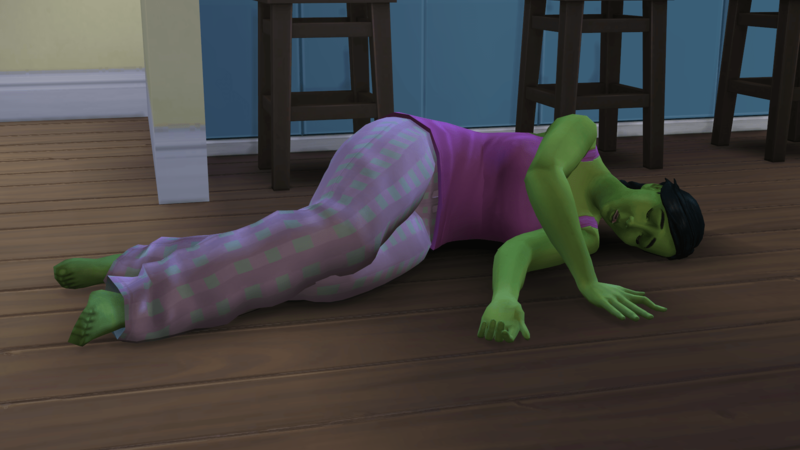 Wait, why isn’t she getting up now? Damn damn damn damn NO NO NO NO NO!!! 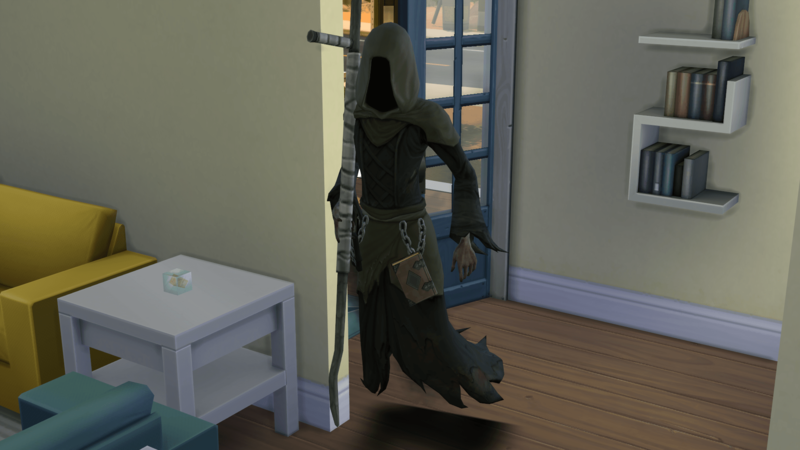 Grim comes in through the front door. 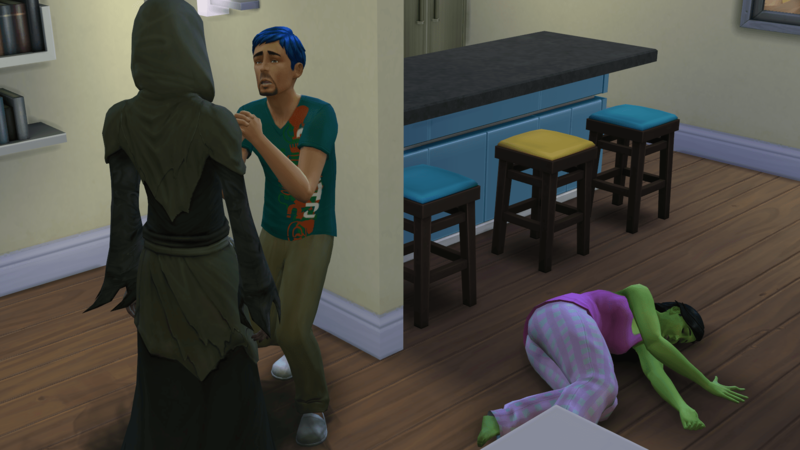 Edgard quickly begs for Seera, pleading for Grim to spare her. 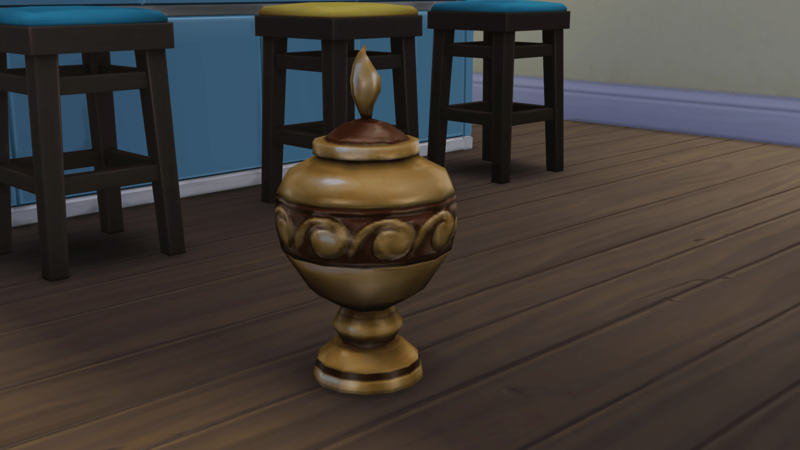 And with this urn, this legacy has come to an early, abrupt end.